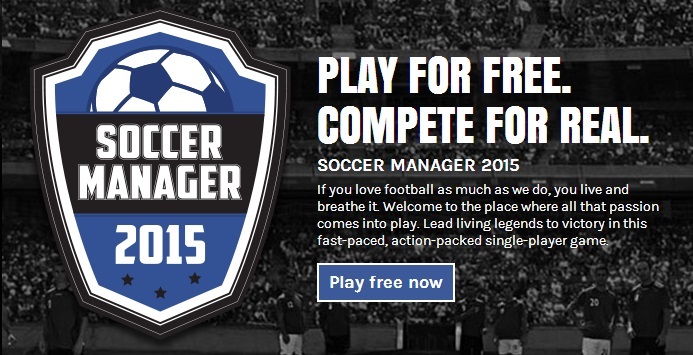 Soccer Manager 2015 is here and it is ready to take on the world. So I dusted off my sheepskin coat and caught up with Steven Gore from Soccer Manager and we chatted about their exciting plans for the future and what makes Soccer Manager 2015 so unique. I first discovered the addictive world of Soccer Manager about five years ago and from my very first click it impressed me with its attention to detail. Soccer Manager started out life as a small online game backed by a loyal community who supported the creators of Soccer Manager in keeping their player database updated and offering feedback on how to move the game forward. Its multi-player game (recently re-named as Soccer Manager Worlds) allows you to select a team of your choice (sometimes the bigger teams are not always available but you can reserve your favourite team by paying for an upgrade) and compete in game worlds against fellow competitors or computerised managers. It is highly compelling and I have been hooked from my very first match. Soccer Manager has grown from strength to strength over the years and I was excited to hear about their new game Soccer Manager 2015, their first foray into the single player football manager format, popularised by Football Manager (formerly Championship Manager). The two key differences between Soccer Manager and its rivals is that Soccer Manager is, and always has been, free to play AND there is no download required. These unique features have been carried over into their single player format and the ability to play the game from any PC or mobile device (with all the data being saved into the cloud) makes it more than a match for its more famous competitors. In fact I think it’s only a matter of time before people come to think of Soccer Manager as THE leading game of its genre. I recently played a full season of Soccer Manager 2015 as Manchester United and the playability is superb. Key features include being able to progress through the season at the pace of your choosing, I set each game to very fast and this meant I could play matches in under 2 minutes and was able to finish a whole season in a couple of nights. This is an excellent feature for the more casual player because you can just pick it up and not get bogged down in the mire of complexity that seem to be the stock in trade of similar games. But if you want to take your time and get wrapped up in the tactics and other aspects of the game you can do so and this gives the game a nice balance. The other winning aspect of the game is there is no lengthy downloading required or programmes like Steam constantly updating in the background as everything is saved to the Cloud and you can access the game anywhere, any time and on any computer. I have already mentioned this but I have said it again because I don’t think I can stress enough what a fantastic and innovative feature this is. Another thing worth mentioning several times is that it is free. You can pay to upgrade to Gold Membership (it is fairly inexpensive with prices ranging from £1.50 to £10), and on the multi-player game this allows you to play champions league style games, experience international management and manage up to 15 clubs at a time. By paying for extra features it supports Soccer Manager as they try to enhance and improve the game. The game is currently in its Beta phase so there is no Champions League or play-offs etc. but these features are coming and will only enhance an already highly playable game. 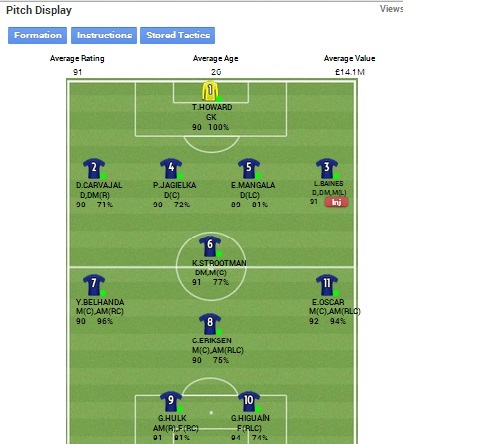 The players are realistically and regularly updated based on the members feedback and using the SoccerWiki database. And as with the multi-player version you can upgrade and this gives you additional functions, such as an increased transfer budget. But the beauty of Soccer Manager is that you really do not have to upgrade to fully enjoy the game because the drive to provide top quality free content is at the core of what Soccer Manager is all about and it is what makes them such an interesting proposition. I caught up with Steven Gore from the Soccer Manager team and he gave me a further insight into the new game and Soccer Manager’s ambitious plans for the future. Hi Steven, thanks for agreeing to have a chat. When did Soccer Manager first come into the world? SoccerManager.com was launched in the summer of 2005 and the first Game World to open was English Championship 1. This was originally opened to friends and family. As it started to fill we were asked to create more Game Worlds and this saw the creation of more English Championships along with new ones in the form of European and World Championships. How did the game grow from its fairly small origins? The game grew from word of mouth and many of the features / improvements that came were suggested by our community. We still continue to listen to our community as they help drive the game forward. This is how Gold Championships came about along with Gold Management as our community wanted to contribute towards the game and play in exclusive Game Worlds. We’ve got lots of new features / improvements lined up for our multi-player game, which has recently been re-branded to Soccer Manager Worlds. These will be much welcome additions and many of them have been suggested once again by our community. Would you say that the online community of players has been important in Soccer Manager’s growth and development? Absolutely. This is how Soccer Manager 2015 has come about. We started work on a new match engine but we needed a test environment for it. We’ve had very good feedback from our community so far despite a few teething problems which we’re currently working on. We’ll be releasing a new version either today or tomorrow and that will address those problems and will provide a better experience for everyone. The game will then continue to be improved as we add play offs, continental competitions etc over the coming weeks. Just like with Soccer Manager Worlds, we’ll listen to our community feedback as this will help drive the game forward. What in your opinion makes Soccer Manager stand out from the crowd and what are your plans for the future? Well, we believe that Soccer Manager 2015 is unique in that the game is saved in the cloud. That means that you can play the game from anywhere and on any device as long as you have internet access. You can also continue to play the game if you lose internet connection and once you’re re connected it’ll save it for you in the cloud. Also in the coming weeks we’ll be releasing free apps for Soccer Manager 2015 for both iOS and Android devices as we want everyone to be able to play our game for free with no barriers to entry. This is part of our Ten Principles. We’ve been working on our new game for around 2 years now and have recently received investment from Merica Fund Management to help with our project. Ex CEO of Sega Europe and North America, Mike Hayes, is now on our board, and former Codemasters CEO Nick Wheelwright has also joined our management team. So it’s exciting times ahead and we’ve now got two excellent additions to our team. We hope that 2015 is going to be a big year for Soccer Manager Ltd and there’ll be lots of exciting new features and improvements added to both games and at the same time they’ll remain free to play. Thanks Steven for taking time out for a chat. If you are interested in playing the game itself follow the link below and I am sure you will not be disappointed.